Discover a delightful new approach to working that is simple to use and offers an uncompromised collaboration experience. 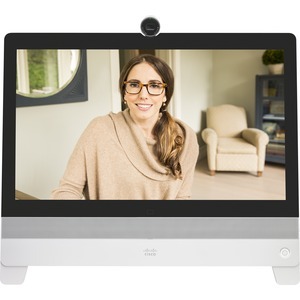 The Cisco DX80 brings everything you need to be productive in one sleek integrated device. All you need is one screen on the desk. Experience best in class HD video and expanded collaboration capabilities such as extensive UC features, Android applications and email.